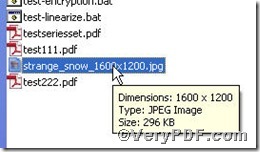 ← How to add title for your image file by command line? You may like to sort your pdf files by categories, it is a good habit. If you have some cherished pictures and texts or other kinds of files which are closely related to your favorable pdf files, what you should do, just put them together in a new folder? It is not so bad, but they are easily missing because of your careless operation. 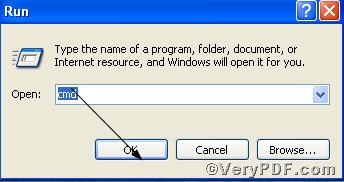 Why not make an pdf attachment, that’s to say, how to edit pdf to change them into an pdf attachment, by doing so they will stick together and won’t be separated, this article is going to show you how to attach a file to a pdf by using Advanced PDF Tools Command Line. 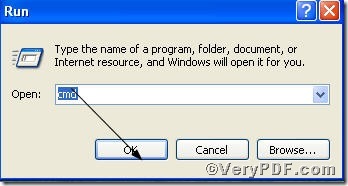 [start] –> [Run], and input “cmd”, the VeryPDF.com posts a series of screenshots to assist you. You could clearly see the newly opened test222.pdf with the two files attached, which proves this function works quite well and editing pdf files have succeeded. 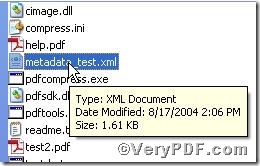 By using Advanced PDF Tools Command Line, you can easily and quickly make pdf attachment. If you are interested, you can type others command lines to attach more files to your existing pdf files to edit them via Advanced PDF Tools command line. 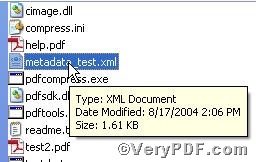 This entry was posted in Advanced PDF Tools and tagged Advanced PDF Tools, command line, edit pdf. Bookmark the permalink.